Phillips Academy Andover (sometimes called Phillips Academy, Andover or P.A.) is one of the most prestigious schools in the U.S. It's hard to get admitted, not much easier when you get in, and far removed in pretty much every way from the public high schools most Americans experience. Joy Wang left her high school in Beijing to spend her junior year at Phillips Academy, and she chatted with us about what it takes to get accepted to a school like P.A. and what to expect if you do. Q: First of all, what made you want to apply to boarding school in the U.S.? 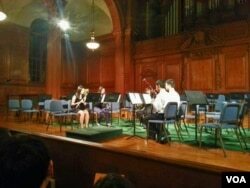 Joy: Two years ago I traveled with five other students to a boarding school called Choate Rosemary Hall, the sister school with my old high school in Beijing. Before this trip, I did not know about American boarding schools, or about American education in general. During my two weeks there, I lived with a host family and went with to all my host sister Audrey’s classes, sports and clubs to get a taste of the American boarding school experience. In their English class they sat around the table and discussed the book they were reading, getting into a conversation about life and death, and I realized how provocative classes could be, and how deep discussions can happen in a ten-person class. In the fifty-student classes of my school in China, we mostly listen to the teacher talk the whole time and the material is focused on tests. I went to their hockey game, and felt a kind of school spirit I had never experienced so strongly before. The passion they put in academics and after class touched me deeply. The trip made me rethink about my education in China, and I thought I could learn more at this school, and do more of the things I am passionate about, like swimming and playing clarinet, that I found hard to continue in a traditional Chinese school. Did everyone else on your trip have the same reaction? Three other people are going to study in colleges in the U.S. this September - New York University’s Tisch School of the Arts, Yale University and Notre Dame University. I think the experience was a great taste of American education and I am sure they had some thoughts like I did. But I am the only one who ended up applying for high school directly. What did you have to do to get accepted? Was it hard to get in? Applying for an American boarding school is actually pretty similar to applying for college. You need to take the SSAT (Secondary School Admission Test) or SAT and the TOEFL, do interviews with admission officers or alumni, and write personal statements and short essays. You also need two recommendation letters from teachers, your school transcript, and statements from your parents. Plus you can submit music or art portfolios as additional materials. I applied for five schools in the New England Prep School Alliance, which has ten of the best prep schools in New England (including Choate). I was admitted by two of them, and waitlisted by the other three. The admission rate varies between schools, and between grades, since people can apply to start any time from 9th to 12th grade. For my school, Phillips Academy Andover, the total admission rate last year was 14 percent. That’s a really low admission rate. Did you have amazing grades at your old school? I did maintain pretty good grades at my old school, but honestly they were not outstanding. My SAT and TOEFL test scores were like 2000+ and 100+, which is okay but not superb. I think how I stood out was my extracurricular activities and the well-roundedness they saw in my application essays. Besides being involved in playing clarinet and swimming, I also started a program in my school to compost the kitchen waste. I led a team in comparing the environmental impact of different methods of composting and designed a machine to compost waste using microorganisms. I received a patent certificate for the design and was featured in a few news reports, which led me to get some help from biotech companies. With my team, we also constructed a business plan to put the idea into operation. I talked about my composting program in my essay, and, more importantly, about what I learned through this process about leading a team, how I tackled the challenges and what I see in my future between biology (or broadly, science) and business. Did you feel like you were prepared for the academics and the culture once you arrived? Coming in as a new junior is something really challenging, to be honest. Before I enrolled as the only new international junior, I attended my school’s summer program to get used to the environment beforehand. I took two classes there, one in writing and one in reading, to improve my English. When I look back now, the classes in summer session were much less intense than the school year classes, so it was a great opportunity to have a taste before school started. One thing our English teacher taught us that I found extremely helpful was keeping a journal of our reading. Normally when I’m reading I would easily skip some important parts in the book; however, when I knew I needed to write a journal after the reading, I actively sought for information and this forced me to analyze the materials rather than skimming through (otherwise I would have nothing to write in the journal!). This reading habit continued to benefit me when the school year started, because I could contribute to the class discussion effectively with the ideas I already thought about the day before in my journal. How were your academic year classes then? The courses I took in my junior year were challenging, but I did learn a lot new things and thought actively. I took multivariable calculus and linear algebra for math, calculus-based physics, advanced biology, U.S. history and English. I found the most effective way to learn, especially in America, is to talk to your teachers. I talked to my English teacher during conference period every week, and we worked together on my writing. I began to grasp some tips to improve my grammar, and how to organize my thoughts in a logical and interesting way. I also talked to my history teacher about the thesis of my history papers. His advice always inspired me to handle the topic in a more persuasive and thorough structure. I also made good use of the writing center to help me proofread all my essays and papers. Did anything really surprise you about life at your new school? At the end of winter term, the big event was the school’s presidential election. After the first two rounds, two pairs of running mates were in contention: one was two boys and the other was a boy and a girl. A group of students wrote an article to our school newspaper addressing how shameful it is to have such little female leadership throughout the school history. They asked provocative questions like: Why have males dominated most of the leadership positions? What does this phenomenon mean for the female students on campus? Are females inherently unfavorable, or there is a discrimination against females? People across the campus discussed it fervently, and it even made the front page on New York Times website that week. Facebook groups like “Feminism at Andover” and new clubs like “Feminist=Equality” were created as the debate heated up. Rather than the female leadership issue itself, it was the occurrence of a discussion like this that really surprised me. In my old school, the school newspaper seldom brought up something so controversial, and I could hardly imagine the student body there would have so many opinions on it. I was surprised by my peers’ keen observance of the issues going on in this community, and their passion to contribute to the conversation. In a free and thought-provoking environment like Andover, I began to learn how to see, how to think, and how to be a person. 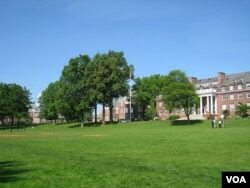 Phillips Academy is really unique in that it's a boarding school and has a lot of international students, which are not typical things for a high school in the U.S. Do you feel like you got a traditional American experience? Since Andover is the only school I have ever studied at in America and I do not know what exactly a traditional American school should be, it’s hard for me to compare. So I would just say that I truly enjoy my life here. At P.A., I met people from really diverse backgrounds: some are international, some are third culture kids, and some lived in five different countries before coming to Andover. We share our cultures openly in culture-related classes, international student talent shows and barbecues. The more I see, the wider my view of the world could be. In this sense, I prefer Phillips Academy as a school where I could see more and know more, just like how the trip I had two years ago showed me something that changed my life. My best friends at P.A. 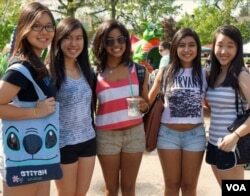 - they are from Hong Kong, India, New York and California. But the students there are predominantly wealthy or upper class, right? I would say some of the American students do come from wealthy families, including some extremely big-name lawyers and businessmen, and there are also international students from some royal families and millionaires’ family in other countries. People at Andover seldom emphasize this topic, but nor did we avoid it. Instead, most of the times, we reflected mindfully on how status shaped this community and how prestige of an education could change our view on the world. In clubs and classrooms, we discussed wealth and status and their impact candidly and openly. For example, in our biology class last term, we read a book called Mountains Beyond Mountains by Tracy Kidder (who is actually an Andover alum). It is about two Harvard Medical School graduates who went to Haiti to help people who suffered from TB and other diseases. Our reading homework included questions that really made me think about prestige, and about whether things like family backgrounds define a person. These two men were probably from wealthy families and they did have an elite education. But I think what really matters is not the labels themselves, but what people do with their labels – whether they coast on them or use what they have to change the world. I believe I fit into this community, where the students value something much more than wealth or the social status. With this group of people, I became more aware of who I am, and what I can do to contribute. Are you planning to apply to college in the U.S. too? Will your time at Phillips Academy be a benefit for your application? I am going back to P.A. for my senior year and I will graduate from P.A., and then I am planning to apply to colleges here. I don't think just the fact that I’m studying at P.A. gives me any advantage, but what I could make out of this place matters. In fact, Andover has a harder grading system than many other high schools in the U.S., so maintaining good grades here is not easy. So in this sense coming to Andover may actually "damage" your grades. But in another sense, the rigorous academics prepare us well for college and colleges believe Andover students have a better chance to thrive in colleges. 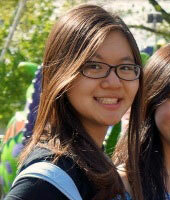 Every year, around a third of the Andover senior class gets into Ivy League schools. So if you take this as a traditional standard for "good colleges," many students here do very well in applying for college.